Here one can find a description of the damage caused by construction activities for the second megapier in April 2017. This report (17Mb, so maybe a slow download) is freely available and aims to provide all parties involved with an accurate description of the current situation. The report is voluntarily and independently compiled by Carmabi. 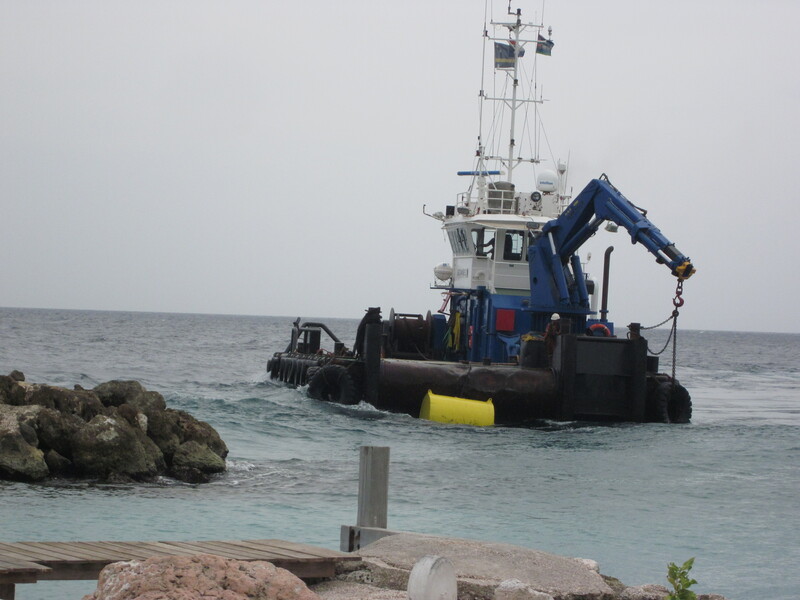 The report found that in a relatively large area due aforementioned activities, many coral colonies and colonies of other marine organisms such as gorgonians and sponges were dislodged from the bottom and turned upside down, broken or otherwise damaged. Many corals still have live tissue on them, but as these surfaces often faced downward or ended up in sediment, the amount of corals that will die is expected to increase. 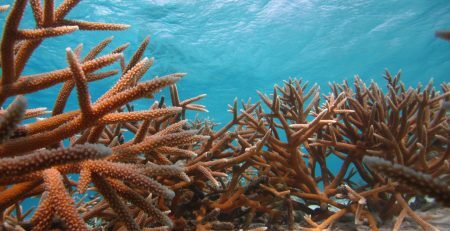 A large number of endangered corals (Acropora palmata, A. cervicornis, but especially Orbicella (Montastraea) annularis and O. faveolata) were killed or damaged. Such larger colonies (also including colonies of Colpophylia natans) were dislodged and had tumbled down the slope where they often ended up upside down on less steep, but sandy substrates. Carmabi likes to stress that not all coral communities in this area were “ploughed” as suggested by various media. Details can be found in the report itself, which can be downloaded here.